Far up in America‘s North East lies some of the best skiing country in the world. Mountains and hills are nestled along the Eastern seaboard here all the way into Canada, inviting yearly hordes of ski-buffs to have fun on the mountainsides. Vermont is a fantastic place in this region to ski, a state which boasts such famous ski-slopes as Mount Snow and Jay Peak. The home of ski-season passes and snow entertainment for over six decades, Bromley Mountain Resort is located in the small village of Peru, Vermont. The site is particularly family-friendly, with a variety of both gentle and steep slopes suitable for all levels of experience. The slopes funnel to the central area which is where the vibrant base of the resort is. Slope-side lodging is available, allowing for extremely easy slope access, and there are kid-specific programs to delight young skiers. Located over the village of Ludlow in South-central Vermont, Okemo Mountain Resort boasts some of the highest vertical drops of an incredible 2000 feet. The resort has spectacular terrain parks and 655 accessible acres with ski trails of varying difficulty levels. The expert trails account for about 31% of the total, with the rest consisting in about equal numbers of beginner and intermediate pathways. 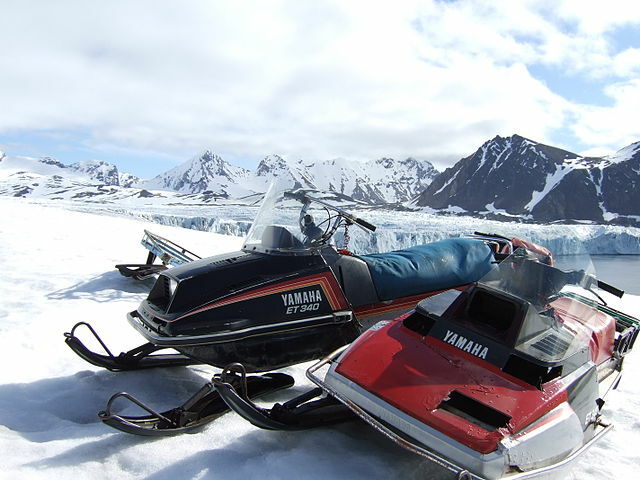 The resort has many family-friendly programs and some of the most open trails available. Located in the Green Mountains in Northern Vermont, the Jay Peak Resort is home to some of the best all-mountain terrain in the East. The site features all-season access, an indoor water-park and a 3-mile long ski-run along with a variety of ski runs and slopes. 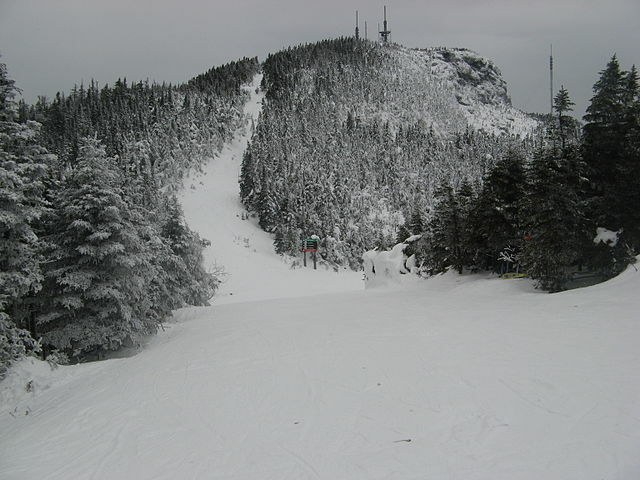 Jay Peak receives the most snowfall of any skiing peak in the Eastern US. With its 78 trails, Jay Peak covers almost 360 acres of skiable area. With numerous ski lifts, tramways and magic carpets, Jay Peak makes for a memorable ski adventure in Vermont. Stowe Mountain Resort has flourished from a small ski lodge into a famous resort and spa with luxury accomodation available all year. Set on the peaks of Mount Mansfield and Spruce Peak, it boasts the fifth-largest lift-served drop in New England, and more than 400 acres of skiable terrain are available at this resort. 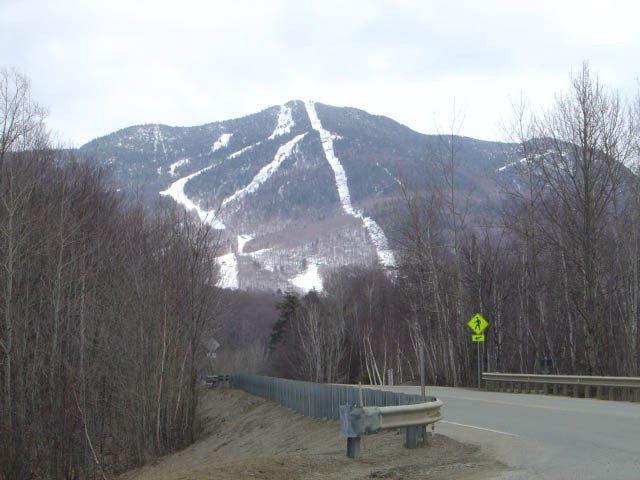 Stowe Mountain also boasts some 116 ski trails, as well as many golf-courses and a fantastic spa and wellness center. Picturesque huts, hotels and other accommodation is available year-round. Stratton Mountain Resort has a reputation for its after-ski activities and entertainment options. Located on Stratton Mountain, the resort has a plentiful array of golf courses, dining venues, clubs and night spots as well as numerous trails. With forty percent of their trails being suitable for beginners, Stratton is welcoming to inexperienced skiers and snowboarders. For the more accustomed skiers, the highest peak in Southern Vermont welcomes you to a 3,875-feet ski drop here. Indoor entertainment options include a spa, fitness facility and swimming pool. A skier’s favorite for its family-friendly activities and slopes, Smuggler’s Notch makes for an entertaining outing. It boasts large amounts of mountain terrain and 18 miles of cross country trails. 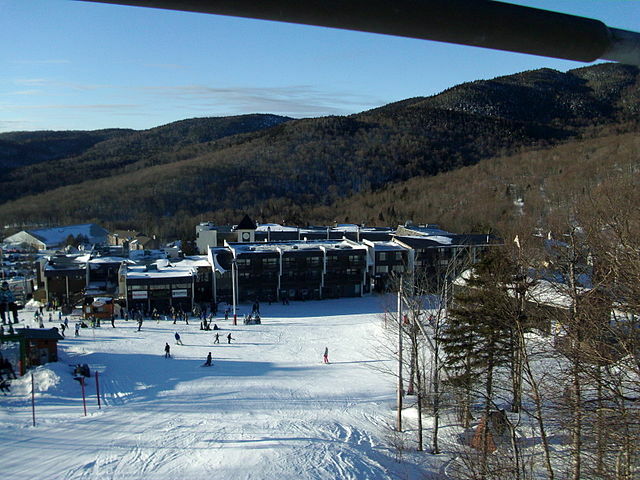 Though is has a reputation for its family-friendliness, Smuggs, as it is popularly known, also has some of New England’s most challenging ski slopes. The most famous of these is probably the Black Hole. Smuggs has three mountain peaks, more than 1000 acres of skiable terrain, and great mountainside lodging to boot. The “Beast of the East” boasts some of the best skiing slopes and experiences not just in the East, but countrywide. Killington Resort has the steepest vertical drop available to skiers in New England, a fall of 3,050 feet, and its highest peak towers at a huge 4,241 feet. It is a very popular destination throughout the year, with spectacular golf courses, a grand spa, a mountain bike park along and a thrilling Adventure Park. A great spot for adventurous skiers, Killington offers the largest skiable area in New England along with much challenging terrain. One of the largest ski resorts in New England, Sugarbush is located in the Mad River Valley in Warren, Vermont. 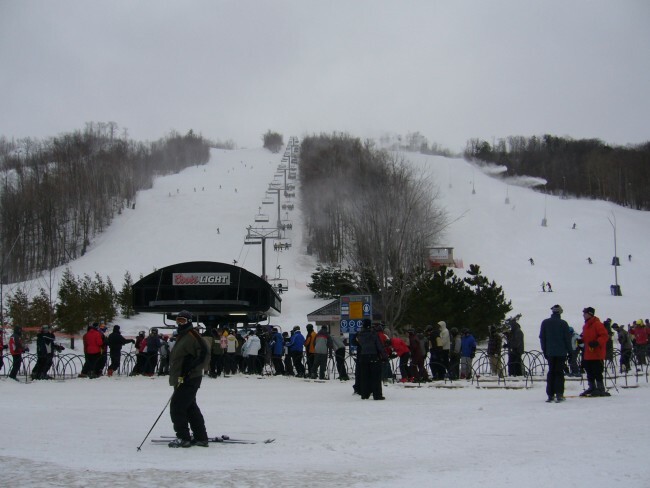 Sugarbush is very festive and has numerous activities going on at any time of the year. In the summer guests can play golf on scenic courses, play tennis and enjoy the luxury dining options in the pristine location. In the wintertime, Sugarbush brings its many six-storied peaks into the spotlight, with Lincoln Peak being the most renowned of these, a mountain with a summit elevation of 3,975 feet. 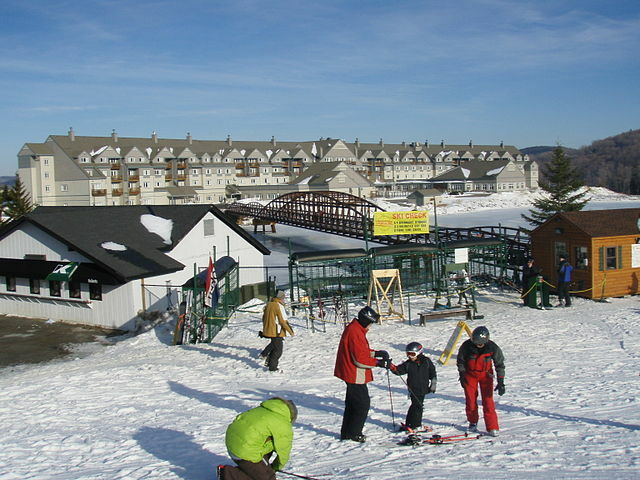 Set in the Green Mountains, Mount Snow is the closest big ski area to most of the North East’s major metropolitan areas including Boston and New York. With beautiful mountain peaks, in the summertime it’s an attractive resort area in which to explore the outdoors, and it features a luxurious outdoor jacuzzi, top-notch dining spots, a health club and many other amenities. 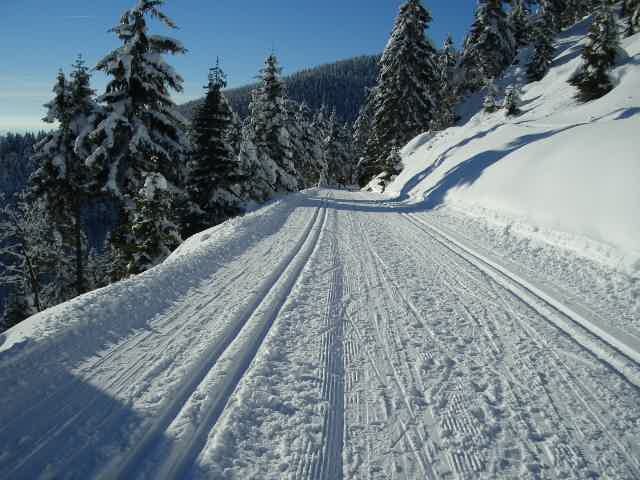 Its blue run trails are a favorite for seasoned skiers in the winter, and it boasts some very challenging terrain. It has one of the best snow-making systems in the North East and a mountain face dedicated to terrain parks. With plenty of options for family lessons and gear rentals, Bolton Valley is particularly well-fitted to families. Set amidst 5000 acres of slopes and stunning scenery, the resort offers picturesque Nordic vistas and 100 kilometers of snowy trails. When not skiing, you can relax in the saunas and hot tubs here, or you can try your hand at the first-rate fitness facility. 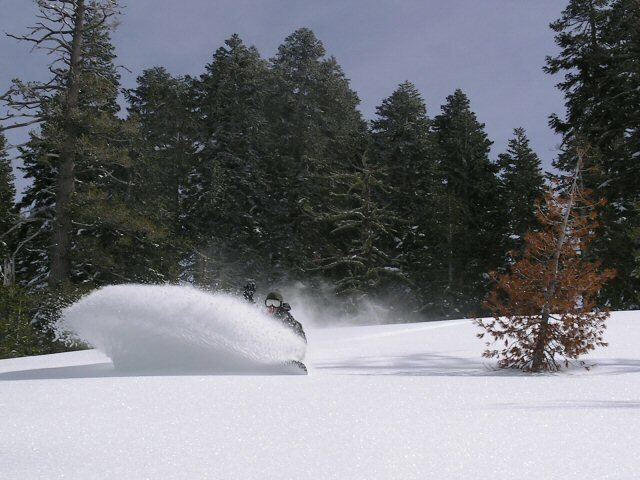 The resort is welcoming to novice skiers as it boasts soft snow along with its more challenging peaks. 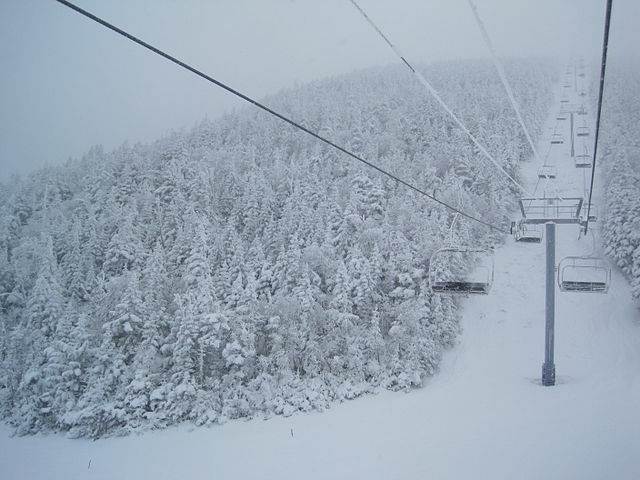 Bolton valley also receives very high levels of snowfall, ensuring a very long ski season every year!